How can I upgrade firmware or retrofit options on the R&S CMU200? The Rohde & Schwarz CMU200 mobile phone and radio tester has been a production workhorse over the last 17 years, with thousands of units sold and installed worldwide in most any reputable EMS (Electronics Manufacturing Services) company production line. I have personally seen hundreds of these communication testers in factories across Asia, operating smoothly and testing handheld products relentlessly, with minimum problems and downtime. Some fine German engineering was put into this test solution and it certainly shows based on our experience and customer acceptance with this particular R&S model number. 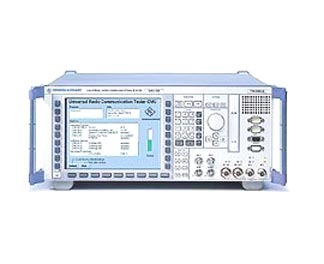 This very popular award winning test instrument is touted as supporting universal standards including 3G, but naturally falls short with today’s 4G LTE test requirements. If you have 4G LTE test needs then the CMW500 is recommended for today’s smart phones and pads. But not every test need is for 4G and LTE. So if you are already invested in the CMU200 and are in need of additional capabilities, depending on your requirements, some options and firmware can be upgraded and retrofitted, at a cost predicated on the specific work performed. To determine if an upgrade is feasible, you must first identify the serial number and specific part number from the front panel. At this point a data file will need to be extracted to assess what firmware and additional options may be needed, depending on the option(s) to be added. Select ‘BASE FUNCTIONS’ -> ‘BASE’. If you are not using a PCMCIA card then follow the same steps as above and the file identlty.dat is written in the internal disk of the CMU. The right hand is the CMU hard disk and the left is the hard disk of your PC. So once you have a connection via GPIB you can get the identity.dat file from the CMU and transfer it to your PC. Note – In some cases adding one option really entails adding one or two more options to get the functionality you require. 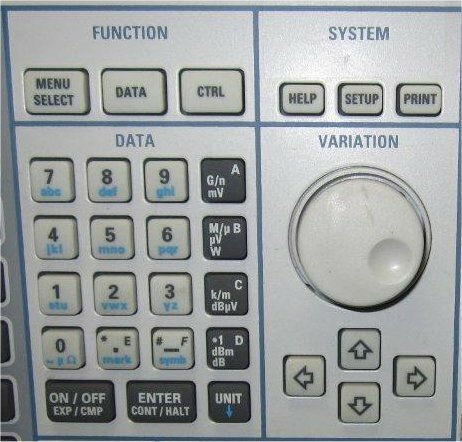 A typical scenario is that various options on a piece of test equipment are mutually dependent. Once you are able to pull this information, a consultation with us will help us determine if an upgrade is feasible and cost effective. Be advised that earlier 1st and 2nd generation units will have limited upgrade capability. If this is the case then we can provide a newer version of the CMU200 with the options and features you need at an affordable price.